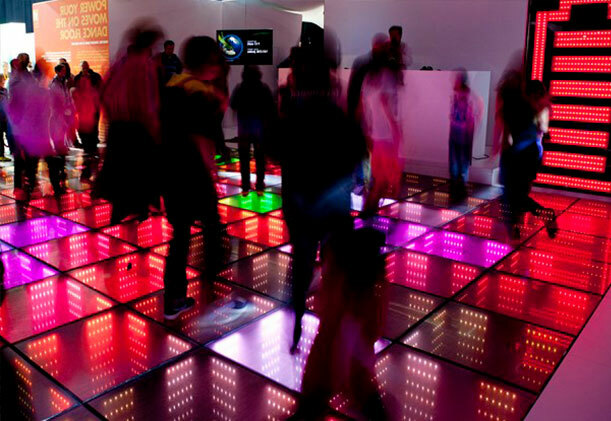 The Sustainable Dance Floor uses human movement as a source of energy. This kinetic energy is directly converted into electricity which powers the floor’s LED lights. Through this process the floor interacts with the public and involves them in an interactive energy experience. The generated electricity can be used to power one of our Energy Plugins, like our digital energy meter, photo application or LED battery. Do you want to add a sustainable program to your event? 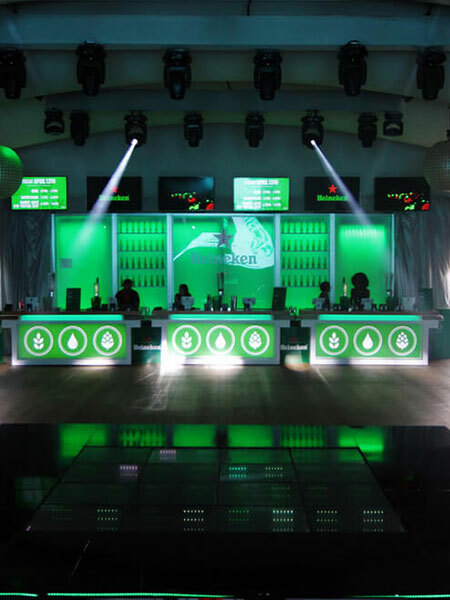 Our Sustainable Dance Floor (and additional products) can be easily integrated into any event with a big audience, whether it’s a sports event, festival or product launch. We bring the equipment you bring the audience; GET ON IT! In the past few years we kept on improving our technology, which has resulted in the world’s most efficient energy converting tile. Together with our specialized partners Rinnic/Vaude Engineering and AEGROUP we produce Sustainable Dance Floor modules of the best quality: the highest energy output in the world, able to resist extreme weather and extraordinary powers, highest life expectancy and applicable in every possible location. 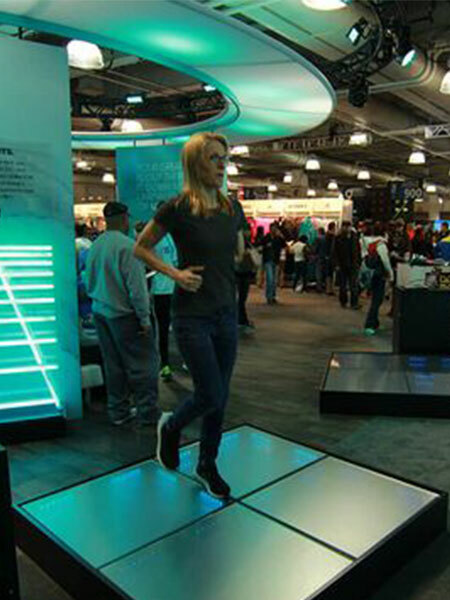 The Sustainable Dance Floor modules flex slightly when stepped on. Inside each tile is an electromechanical system, which transforms the small vertical movement produced by dancing people into a rotating movement that drives a generator. With our Plugins, we visualize the amount of energy generated on our floor modules. 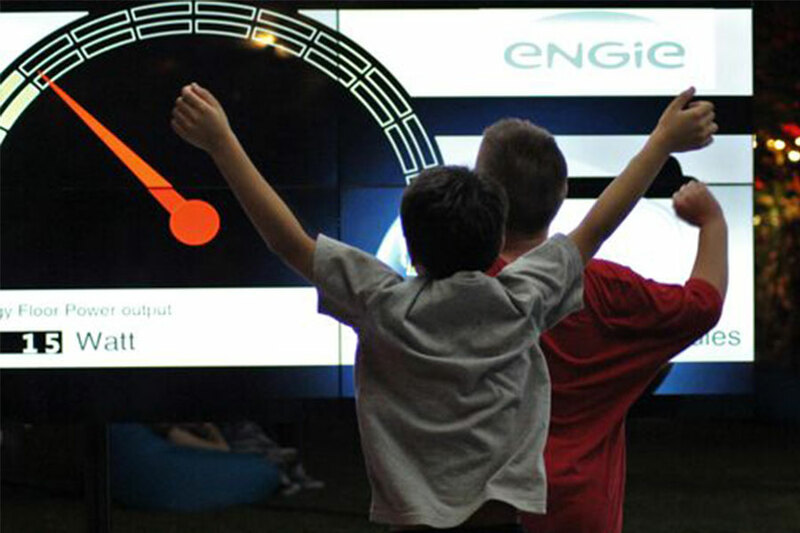 Together with the floor, the plugins form the interactive energy experience we offer to our clients. 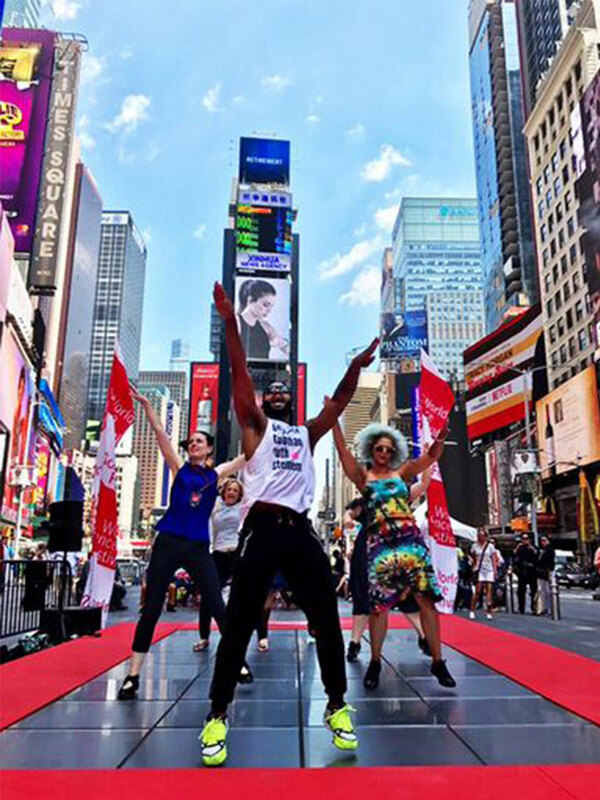 Are you interested in The Dancer for your event, festival, museum or activation?